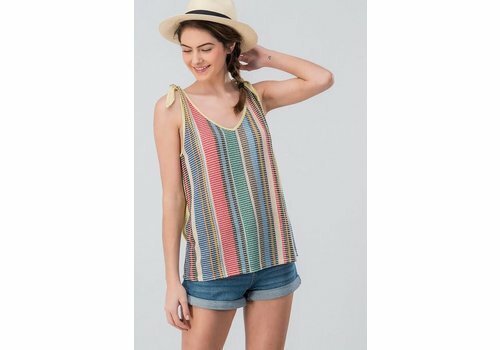 Summer knit fabric featuring a multicolored stripe front and solid yellow back. Shoulder tie details. 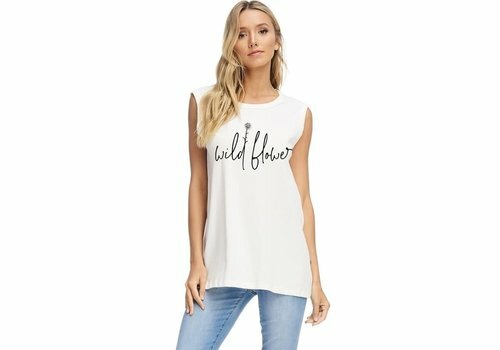 Our best selling boyfriend graphic tanks are back! 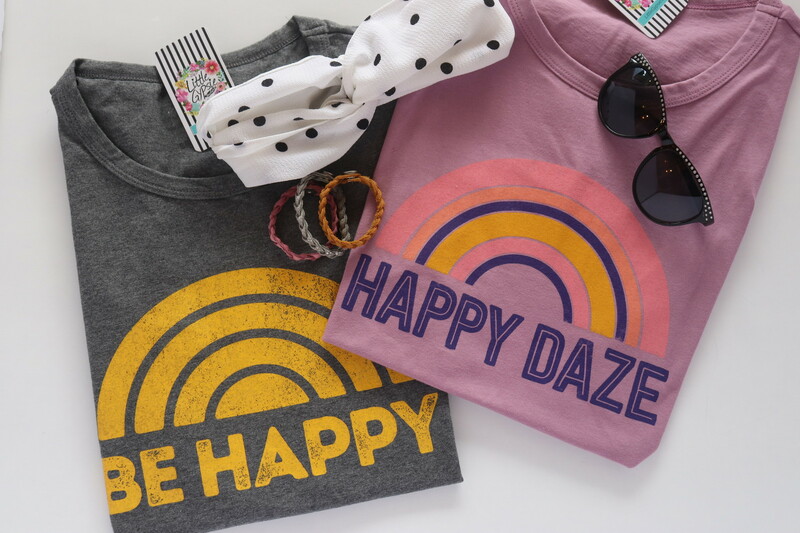 This time in two retro "happy" themed prints.. because we all know " happy girls are the prettiest girls." 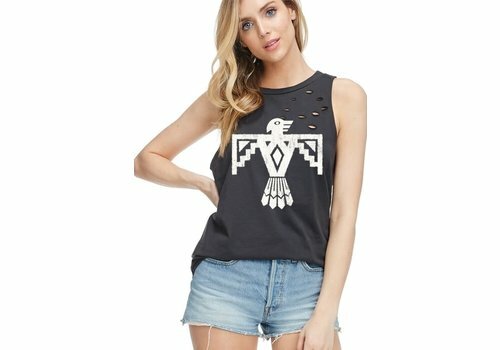 Our Best Seller boyfriend tank is back!! 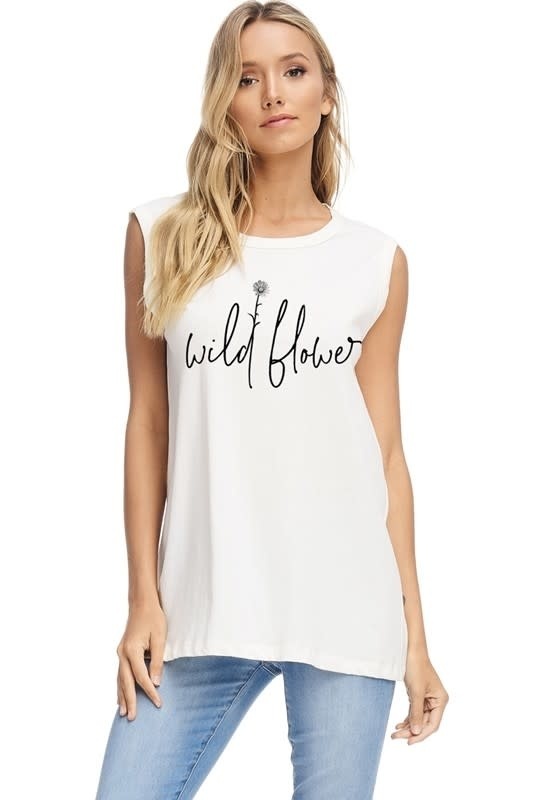 !Ivory white with "Wild Flower " graphic. Fit is true to size, but boyfriend cut so it will be slightly loose ! Looks so cute knotted too. 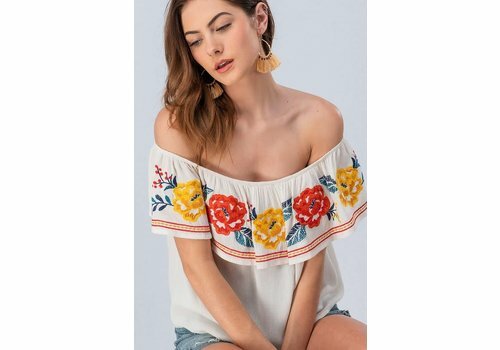 Sweet embroidered floral top in pretty shades of poppy red, mustard yellow & blue leaf greenery. 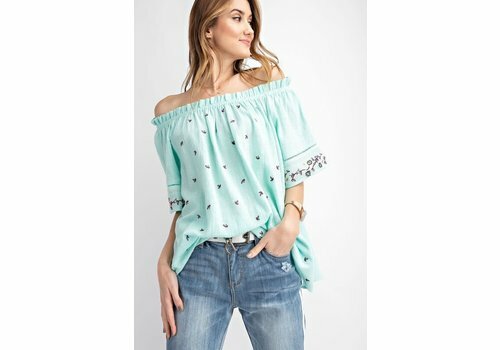 Ruffled, off shoulder. Semi cropped top, making it the perfect length for high waist denim or maxi skirt. 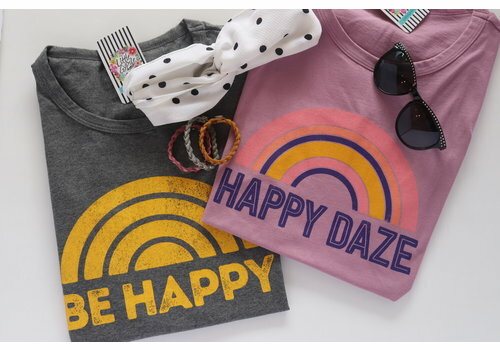 Shop fav' staple, in one of the best fabrics ever! Such a good drape. 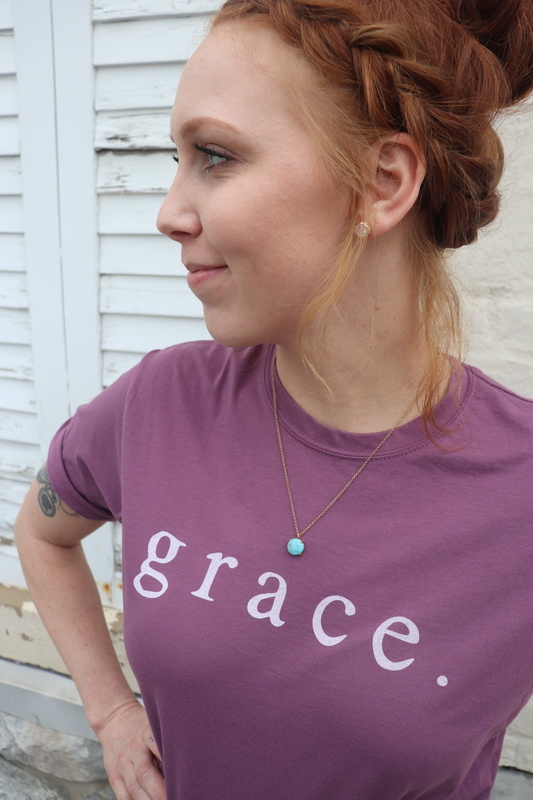 Super flattering and so comfy too. Top features a choker cut out neck line & front twist at hem line. 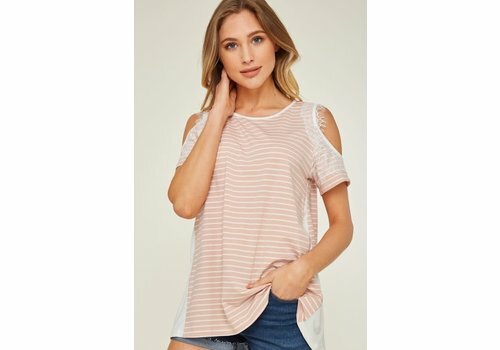 Sweet blush pink & ivory pinstripe top featuring cut out shoulders and lace trim too. We love the back, contrast fabric too. Loose, flowy fit. 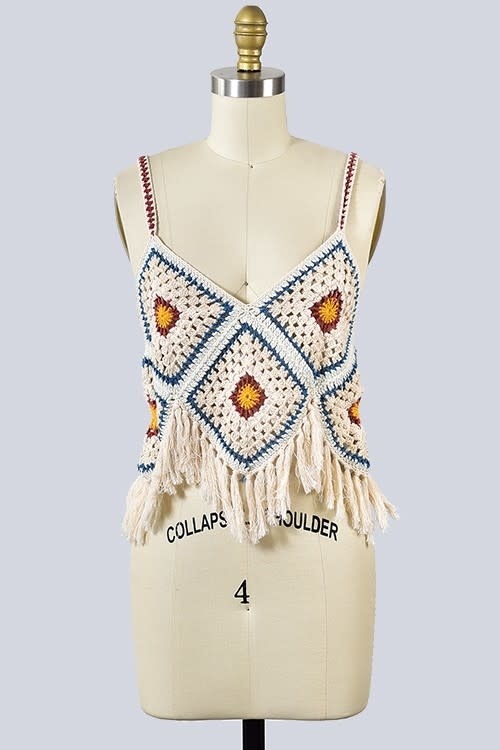 We love this retro crochet tank; perfect for Coachella or any other summer music festival. 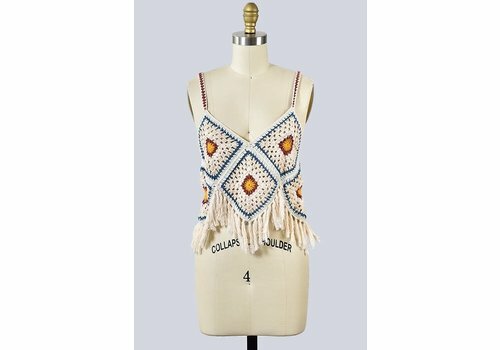 Hippie fringe hem line and colorful design. 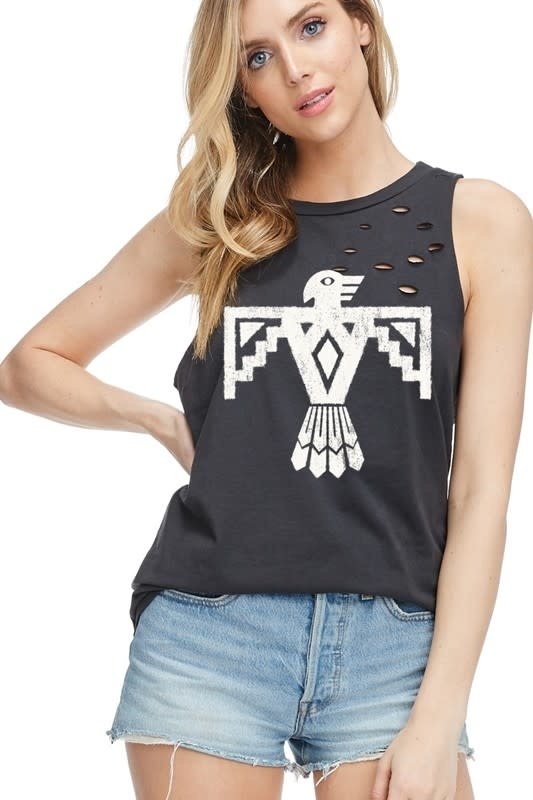 We love this styled over a bralette and paired with high waisted denim. We love the asymmetrical hem line on this new, lightweight sweater. Gorgeous pink color, the perfect pop of color for spring. 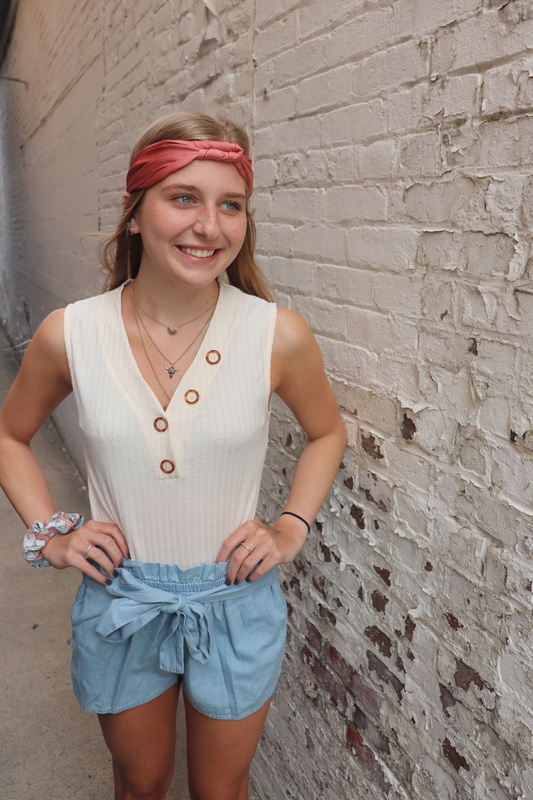 Our favorite way to style is to pair with a cute pair of denim shorts and a bralette OR wear with your white denim! We love the asymmetrical hem line on this new, lightweight sweater. 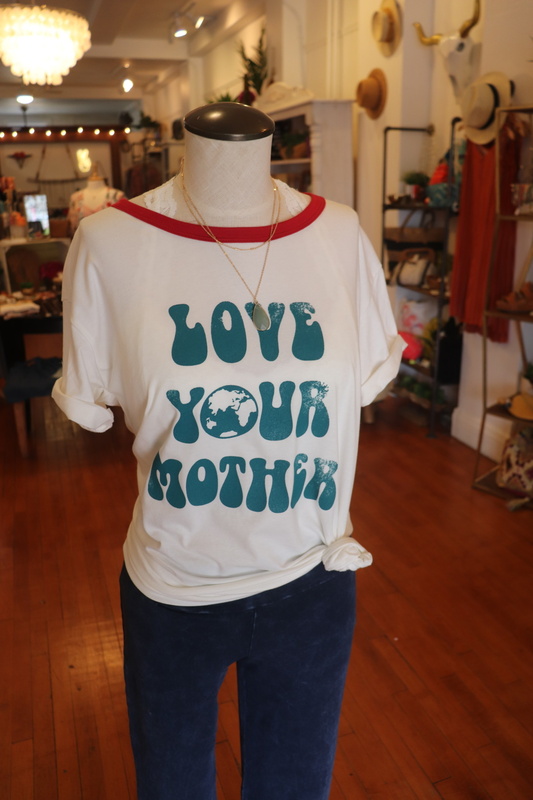 Gorgeous mint color, perfect for spring with all your white denim. 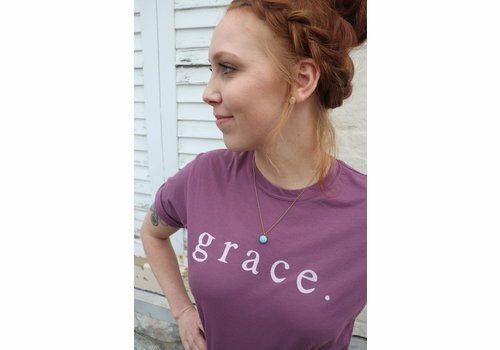 Vintage purple "grace" tee. Crewneck cut. Unisex, true to size fit. 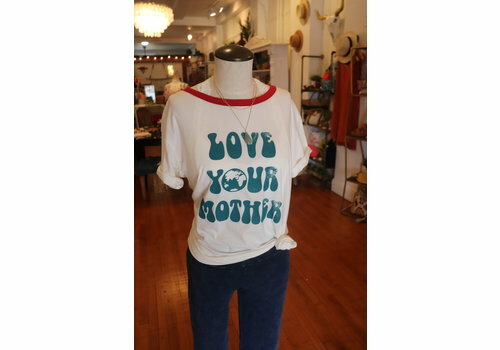 Styling tip: we love this one layered with a kimono or wear stand alone and cuff sleeves!